Earlier, we learnt that every business transaction has an equalizing effect on the accounting equation. In other words, an increase or decrease in any component of the equation will be ‘compensated’ by the increase/decrease of another component, so that the overall equation remains balanced. For instance, if assets increase by $5000 and liabilities increase by the same amount. Refresh your memory about the Accounting Equation here. We’re now going to build on that concept, and learn how to formalise it into accounting double entries. The guideline is this: every component that experiences an increase/decrease in the accounting equation becomes a separate account, to record the transaction. 1. Every transaction must be recorded in at least 2 accounts. 2. The total debits recorded for each transaction must be equal to the total credits recorded. But when does a transaction go to the debit side, and when does it go to the credit side? Of course, the converse holds true, i.e. Decrease in assets will be credits. Decrease in liabilities will be debits. Decrease in owner’s equity will be debits. When we express a business transaction in terms of debits and credits, we are journalizing it, or writing it in a journal entry format. The business owner (say, named Margaret) invested $10,000 cash into her business. Cash [Assets] is increased by $10,000. Capital [Owner’s Equity] is increased by $10,000. 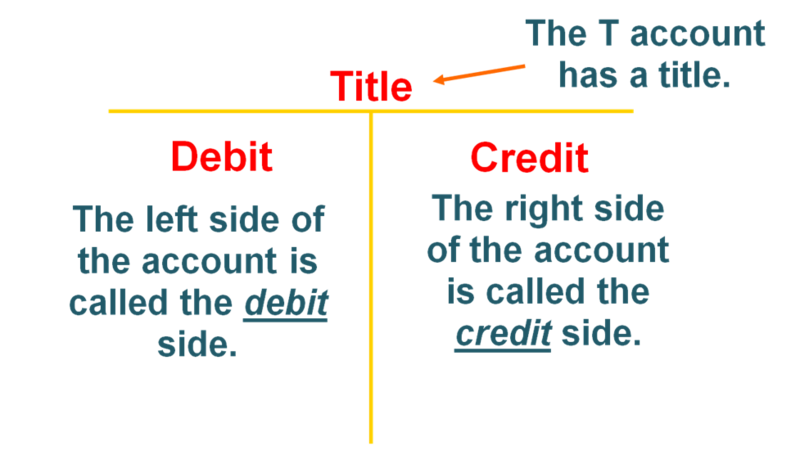 Let’s take the examples that we did from The Accounting Equation section, and see how the debit-credit rule applies. 1. The business paid $20,000 to buy a piece of land as a future building site. Land [Assets] is increased by $20,000. Cash [Assets] is decreased by $20,000. 2. The business purchased supplies for $1,500 and agreed to pay the supplier one month from now. 3. The business received cash of $8,000 for providing services to customers. Cash [Assets] is increased by $8,000. Revenue [Owner's Equity] is increased by $8,000. 4. The business paid salaries to its workers using cash of $2,000. Cash [Assets] is decreased by $2,000. Owner's Equity is increased by $2,000. 5. The business paid the amount owing to its accounts payable/creditor, of $5,200. Cash [Assets] is decreased by $5,200. Accounts payable [Liabilities] is decreased by $5,200. The owner of the business withdrew $10,000 from the business for his own use. Cash [Assets] is decreased by $10,000. Owner's Equity is decreased by $10,000. Return to Accounting Adventurista Home from Double Entry Method.